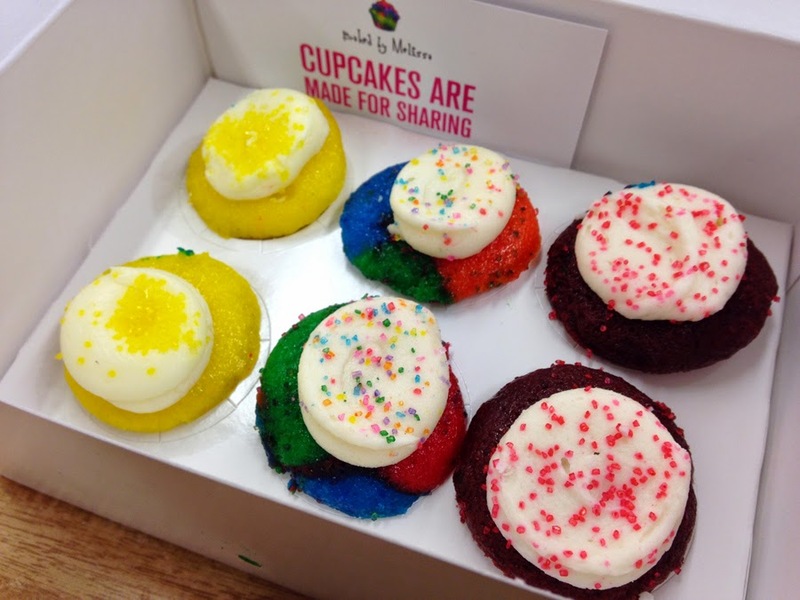 From left to right: Lemon cheesecake (Flavour of April 2014), tie-dye, red velvet. Cookies & Cream, Red velvet. 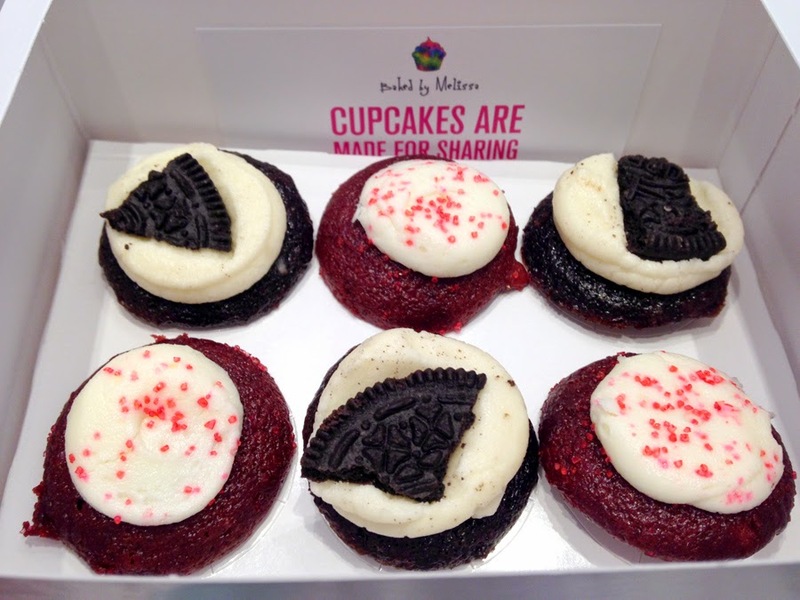 Why Baked by Melissa? Just because I've heard of it, seen pictures of it and find it super cute. True enough.. These mini cupcakes are of bite sizes. Not everybody loves huge cakes - it's a great snack to begin with. As for the flavours, I personally prefer red velvet most. I find the rest of the flavours rather common, in fact, red velvet itself is common too, but to be able for me to accept is another. The cakes are very moist and soft. Of course it's a result of freshness. It is a brilliant idea to sell bite size cupcakes - especially for greedy people like me which can never finish a large portion. It is fairly pricey - 6 tiny ones costs $5.50. Still, I would think it is worth it. Red velvet is a must try - unless you're allergic to chocolate! (: It's a pity they only ship nationwide. *There are a couple of locations. Click here to check.